These carefully-designed shocks provide exceptional road-handling properties and an acceptable level of comfort for street/track applications. You will also benefit from their excellent wheel-to-road contact, experiencing more responsive steering, improved body control, and limited movement during braking and acceleration. You can externally fine tune the shocks to your driving style with an adjustable knob. 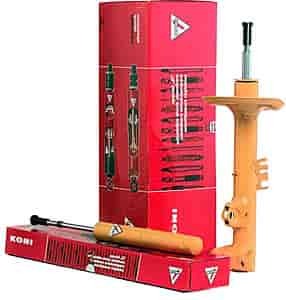 Notes: Unless noted otherwise Koni Sport Series Mustang Shocks are sold as one per package.